In power transformer station of smart grid, a large number of IoT terminal devices need to collect hotspot data in real time to realize monitoring and managing current operating environment of the grid. Since the electricity business requires high read-time performance and reliability, so how to reduce the communication delay between these terminals and increase the transmission efficiency of information has become a challenge for smart grid. Performance of cellular signals received by terminals in transformer station is severely impacted by participant terminals with poor channel conditions, which is usually the cases in the indoor environment due to strong penetration loss. To strengthen the indoor cellular signals, operators deploy the indoor-outdoor relay system (RS), which amplifies wireless signals and improves indoor throughput. 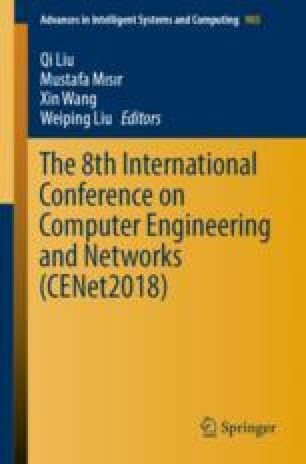 Based on the present indoor-outdoor RS, this article proposes to augment it by adopting caching entities and developing caching mechanism that further improves the utilization of wireless resources. The resulting indoor-outdoor caching relay system (CRS) operates in two phases periodically under the control of management agent at the Macro Base Station (MBS). In Phase I, spectrum resources of the established links between MBS and terminals are extracted to support data caching in the system. In Phase II, CRS directly serves indoor terminals and the fronthaul resources are released to serve other terminals. Simulation results verify that the great throughput improvement achieved by CRS with our proposed caching-relay mechanism, only at the cost of temporarily suppressing the data rate to establish caching links.